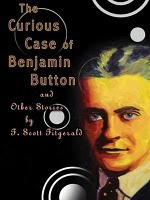 F. Scott Fitzgerald, author of Gatsby, also wrote this charmingly odd little tale of Benjamin Button. The screenplay is a very loose retelling of the man who lives his life backwards. You can read the short story online here: http://www.readbookonline.net/read/690/10628 T.H. White introduced a forshadowing Button figure in the wizard Merlin who also lives in reverse. The universal fear of death sparks, or perhaps inflicts, the curiosity behind this premise. The film is a beautiful progression of sepia tones which build into vibrant color as time passes, allowing time itself to play an antagonist. The clock maker builds a momento to his son. Catalyst. Time passing. A series of events building on one another, creating in collage: a life. Storms in film are catalysts for change. In Button they serve as reminders. They provide metaphoric markers as they follow Benjamin through his odd life. Unlike Merlin, however, he has no power to control, navigate, or make a mark on the future, so his “special” life is lived without purpose. He loves, but never selflessly. He experiences life, but learns nothing from it. In this way, he is ever the child. I expected more. I expect heros to transform, to learn, to grow. Unfortunately, this film emphasizes sameness: we end as we begin – in diapers. What hope is there in that? I expected more. I expect heros to transform, to learn, to grow. Unfortunately, MBT Scarpe this film emphasizes sameness: we end as we begin – in diapers. What hope is there in that? It touched me very much! Thank you! Yes, that comic relief was truly that for me as well.